Sean Solomon is an artist living in Los Angeles. He art directed an animated series called “The Lucas Bros Moving Co” for Fox Television. 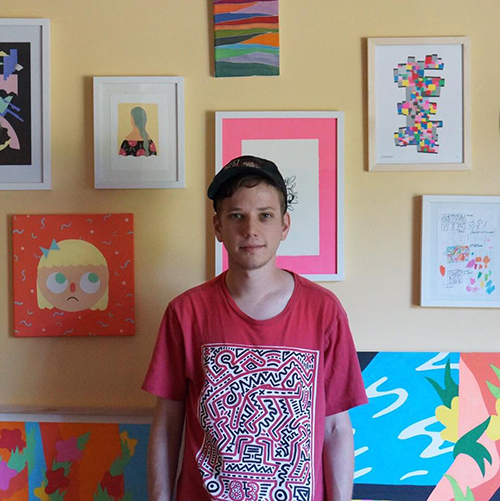 He has directed music videos for Unknown Mortal Orchestra, Michael Rault, and Odd Future. He has created commercial artwork for Nike, Adidas, Toyota, HBO, Bravo, Vice, Tumblr, and MTV. He sings and plays guitar in a band called Moaning. Their debut album is out now on Sub Pop Records. For freelance, commissions, or to say hi.